Second Harvest Heartland utilizes community relationships to end hunger and distributes more than 51 million pounds of food and grocery products annually to nearly 1,000 food shelves, soup kitchens, shelters and programs. The company also donated funds to the organization in 2011, 2012, 2013 and 2014. House of Charity’s mission is to feed those in need, house those experiencing homelessness, and empower individuals to achieve independence. 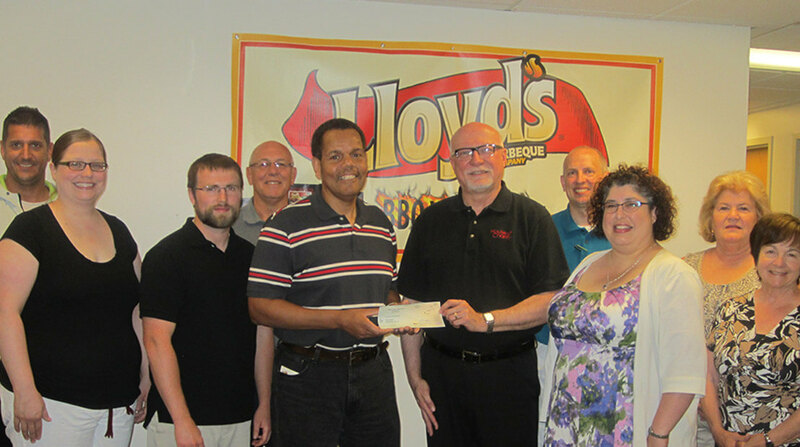 The Food Centre feeds more than 350 people each day and received a $5,000 donation from Lloyd’s Barbeque in 2014.